The Business Navigator proposes and implements plans that improve and preserve the quality of life in the city of Hartsville. Promoting orderly and controlled development allows us to plan for current and future needs. 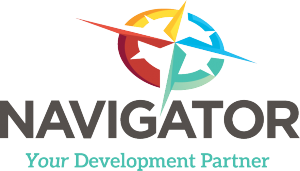 The Navigator is responsible for zoning issues, issuing permits, initiating annexations, as well as developing a Comprehensive Plan in coordination with the Planning Commission. They also ensure all construction and renovation projects meet state guidelines, ICC standards, land use ordinances, and local regulations before work begins. Tax maps and zoning maps are available for viewing in the Business Navigator. Zoning maps are also available online. Reviewed and recommended by the Hartsville Planning Commission, this comprehensive plan for the City of Hartsville was adopted by City Council on February 12, 2008. It covers how Hartsville will remain attractive, progressive and economically vibrant in the coming years through for economic development and residents as well as natural resources, cultural resources and infrastructure. Learn more. This neighborhood revitalization strategy was created by a Community Planning Assistance Team, a group of volunteer experts from the American Planning Association, after a period of gathering information and ideas from the residents of South Hartsville in 2014. Learn more. The City of Hartsville Master Plan is focused on addressing the design quality and appeal of downtown Hartsville as well as the major corridors leading into the City, including Fourth, Fifth and Sixth streets, Carolina Avenue and the Oakdale neighborhood. Learn more about the Hartsville Master Plan. Zoning regulations govern how land can be used in various geographic areas of the city limits of Hartsville. The regulations might govern building sizes, off-street parking requirements, or business hours. Specific regulations for any given zoning district are detailed in the City of Hartsville Zoning Ordinance. A zoning verification letter is a written response to a request regarding the current land use and zoning for a specific property including information on variances, special permits, exceptions, ordinances or conditions, and violations. Learn more about Zoning Verification Letters.